TimeZone : Officine Panerai » My new Panerai 352! I've been thinking about this watch for quite a while. 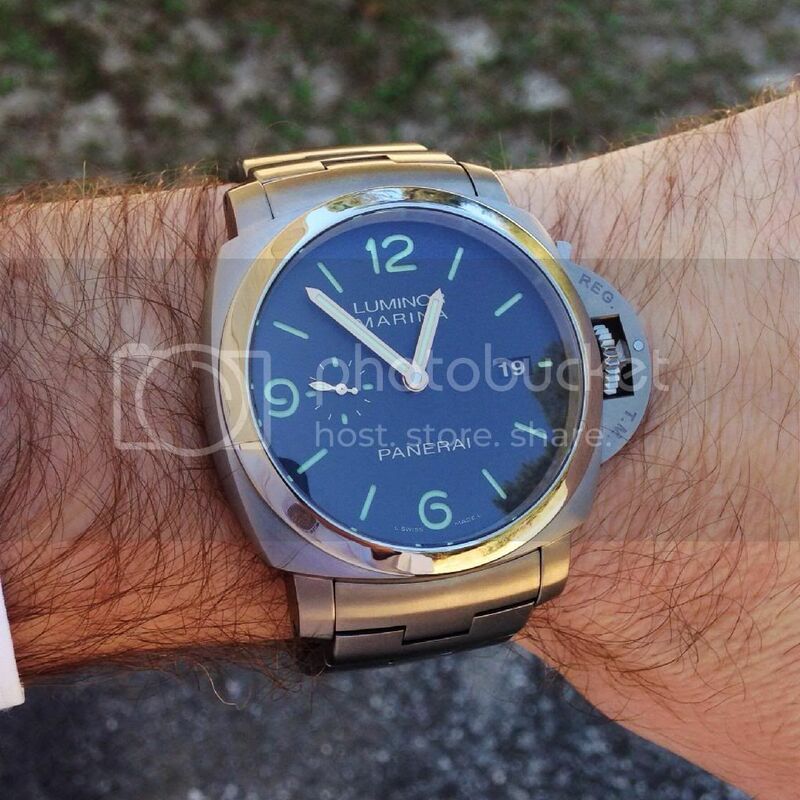 I have always liked the titanium models, but I was curious about how much I would like a Panerai on a bracelet. I had always thought of Panerai watches on straps, but with good bracelet feedback from other forum members (thanks Don, John, Tony, and Eric), I felt the worst that would come from it would be storing a bracelet in the watch box. I am very pleased with the Panerai 352 - the bracelet is extremely comfortable and gives a whole different dimension to the watch. I like the polished bezel contrast with the satin finished case. Quite honestly, I think a black dial looks better with the gray color of the titanium case as opposed to the tobacco dial, but that's what my 177 is for. I love the accent of the gold hands. Overall, I'm really happy with the 352 and thanks for letting me share it with you guys! Best regards and have a wonderful week.